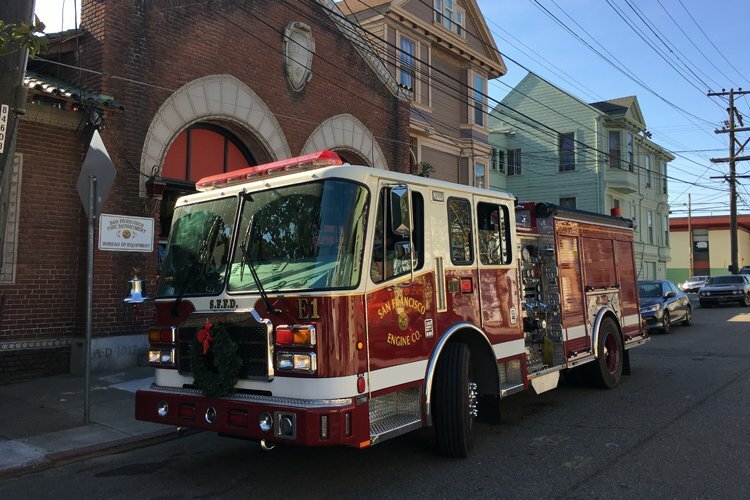 Unlike leasing a car for 36 months, a new apparatus acquisition is generally a long-term proposition with a life cycle of at least 12 to 15 years. 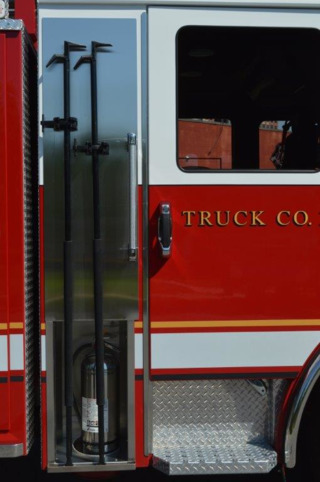 Fire departments that operate large fleets have the ability to make changes to improve the safety and operation of their engines and trucks on a regular basis. 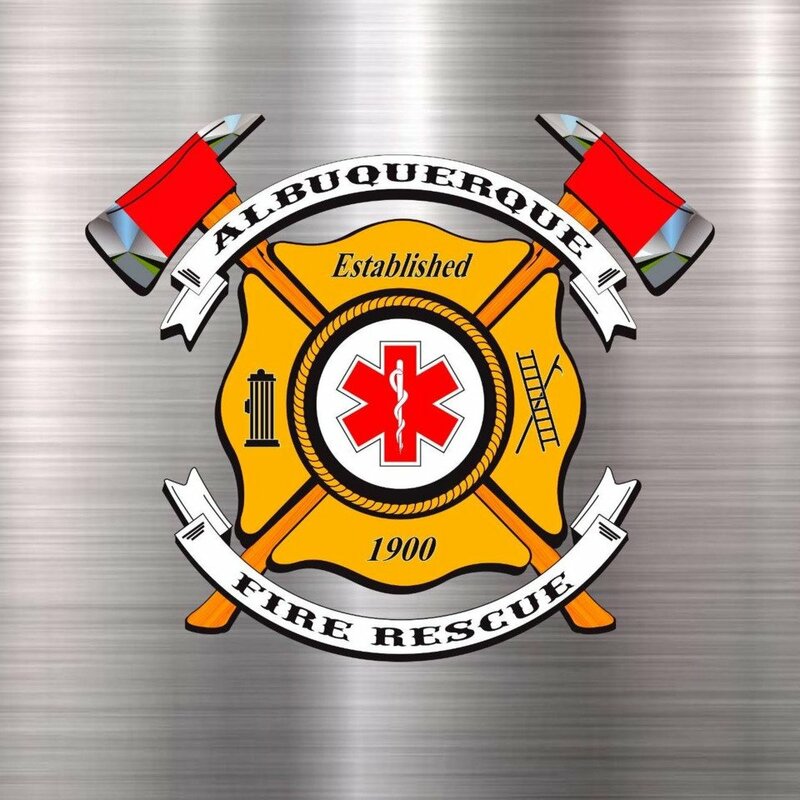 Departments that acquire a new apparatus every 3 to 5 years must keep apprised of component changes and industry trends during the specification process. 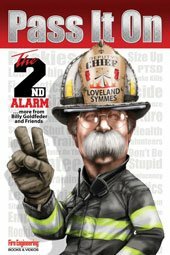 One of the best and most inexpensive methods for gaining insight into apparatus designs and trends is to visit department maintenance shops. Some vehicle designs look good on paper, but the vehicles end up spending much of their service life in the shops due to handling issues and electronic bugs. The result is a loss of confidence in the apparatus by the crews due to reoccurring problems. Many of these could have been avoided with the proper specifications and inspection practices while the unit was being built. With this in mind, in this installment of Apparatus Architect, we cover several apparatus designs that worked for the respective departments. Some were first-time concepts that were discussed during the pre-construction meetings; others were enhancements of tried-and-true compartment layouts that worked on older units. One of the major challenges with today’s apparatus is to incorporate all the tools, equipment, hose and ground ladders on the vehicle, without sacrificing maneuverability due to the overall size of the unit. Short wheelbase apparatus are making a comeback, as communities build out to maximize building lots with restricted access for apparatus positioning. Los Angeles Fire Department (LAFD) Engine 27 is a 2010 KME pumper with an excellent arrangement of appliances and tools on the apparatus. The adapters and nozzles are individually mounted and labeled on heavy plastic floors, with much of this work conducted by fire department members. The five-drawer tool chest was configured with individual recessed pockets for each tool and appliance. 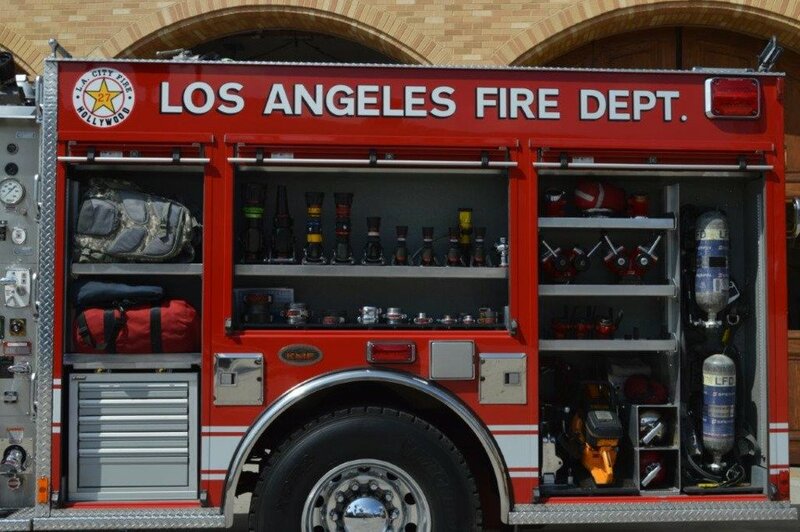 Additionally, the clean cab concept may be new to some jurisdictions; however, the LAFD has carried breathing apparatus in the body compartments for many years. The clean cab concept is a trend that is gaining more traction as it relates to reducing crews’ exposure to carcinogens. 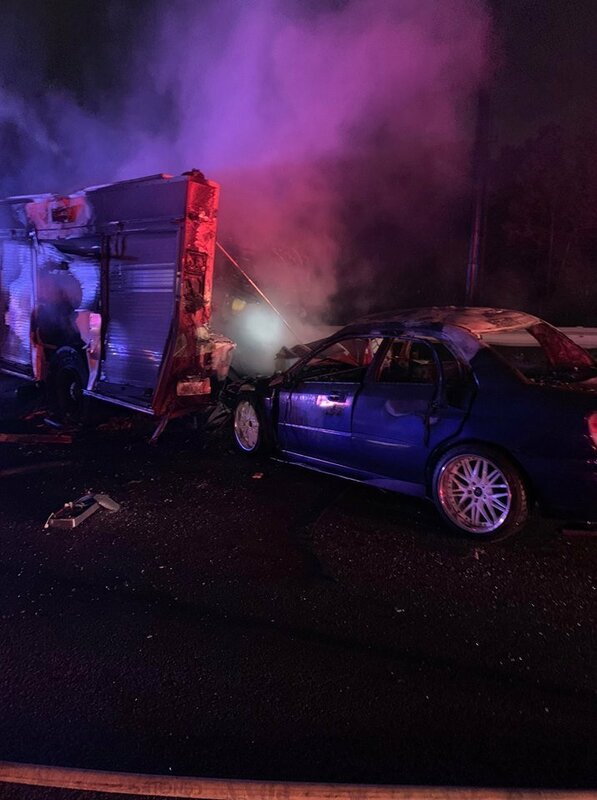 Some in the fire service have indicated it may be time to make the clean concept cab mandatory in the next revision of NFPA 1901: Standard for Automotive Fire Apparatus. Sister Bay’s Hose 25 is equipped with multiple lengths of 6-inch hard suction hose along with a hydraulically operated hose reel with 4,000 feet of supply line.When large-diameter hose (LDH) was first introduced into the United States, departments were slow to accept the concept. Several New Hampshire departments operated hose wagons equipped with one or two hose reels. These reels could accommodate 1,500 to 2,000 feet of the LDH, which could enhance hose relays over longer distances when compared to standard 2½- or 3-inch supply line. Located in Door County, WI, the Sister Bay Fire Department protects a large rural area that is beyond hydrant protection. 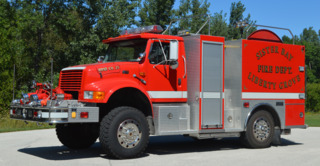 The department operates two tandem-axle pumper tankers along with a water supply hose tender. Hose 25 is equipped with a 1,250-gpm front-mount fire pump with dual 6-inch intakes along with a hose reel carrying 4,000 feet of 5-inch hose. This apparatus can lay a supply line from a designated point and reverse out to a water source using the capability of the short wheelbase four-wheel-drive chassis. 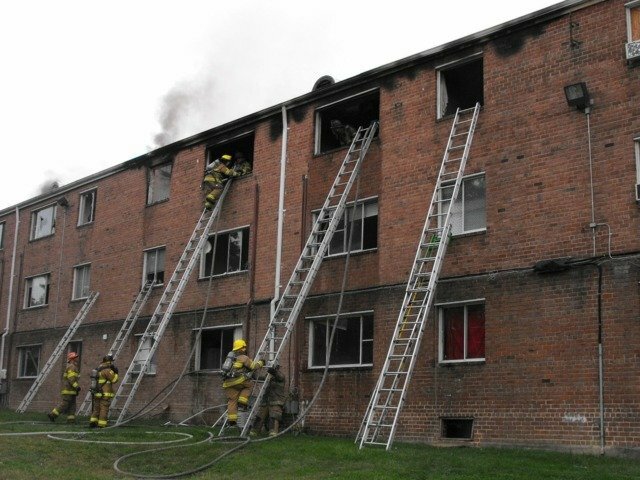 Truck company apparatus must carry a wide assortment of hand and power tools along with ground ladders to access all four sides of a structure. The College Park, MD, Fire Department operates two engines along with a foam unit, ladder truck and two ambulances. The fire station staffing is made up of live-in students attending the University of Maryland, which enables the department to provide sufficient personnel for response. 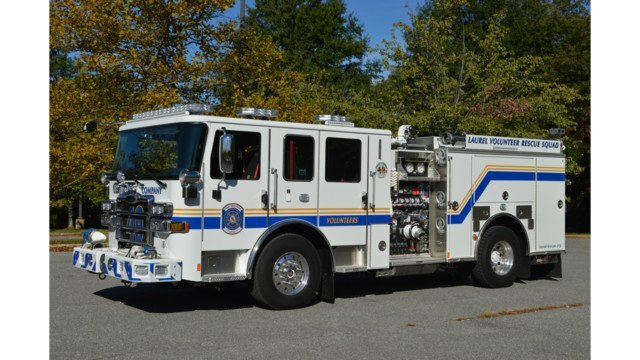 College Park, MD, Truck 812 was designed with an open compartment to accommodate a 2½-gallon water extinguisher along with two roof hooks.During the design stage for their new ladder truck, one of the objectives was to have the water extinguisher and hooks available for rapid access as members dismounted from the cab. The goal was to not have to open a compartment to gain access to this equipment. The result was an open compartment behind the crew cab doors on each side to accommodate the extinguisher in a recessed stainless-steel area along with two New York roof hooks. The Harrisburg Bureau of Fire in Pennsylvania placed into service their first tractor-drawn ladder after many years of operating with various models of tower ladders. A small but significant modification was made to the 24-foot extension ladder carried on the right side of Ladder 2. Using two Performance Advantage Company brackets enabled a roof hook to be mounted on the ladder to enable one person to safely carry and deploy both pieces of equipment. 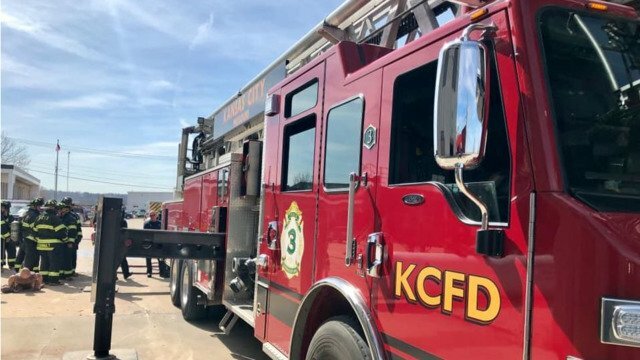 Tool and equipment mounting has greatly improved, with many departments opting to have specialized companies outfit their new apparatus after delivery. With the longer lead times for new units, most manufacturers do not have the resources to store an entire inventory of equipment as well as individually mount each tool during a final inspection. 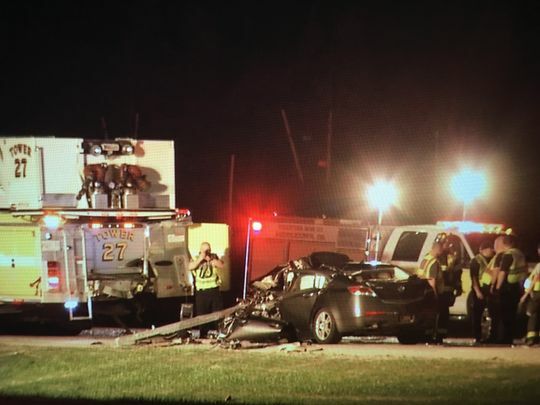 When designing a new vehicle, particularly a rescue-engine or rescue squad, the apparatus committee should investigate vendors that can layout and mount all equipment, including the cab interior, front bumper and all body compartments. The Huntingtown Fire Department in Calvert County, MD, recently placed into service a tandem-axle walk-in rescue truck. The 12 exterior body compartments, as well and the cab and squad body interior, were detailed after the initial delivery with painstaking attention to detail as to the function and layout for each piece of equipment. 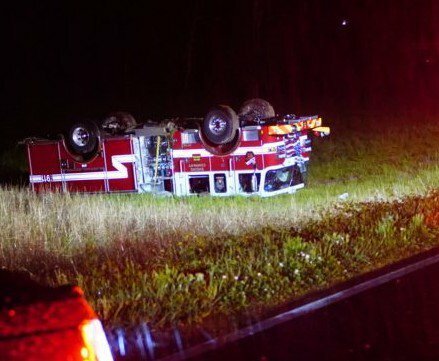 The department had previously operated a non-walk squad on a single axle, so the knowledge gained by visiting other local jurisdictions that ran similar vehicles, as well as leveraging the experience of a local apparatus upfitter, resulted in a well-laid-out rescue squad. Master stream operations from tower ladders are often hindered by the slow movement of the monitor, particularly when hand-wheel-style cranks are required to change the horizontal or vertical movement of the appliance. Tower 9 from the Bay District Volunteer Fire Department in Maryland utilizes a manual monitor equipped with a tiller bar handle, which permits smooth vertical and horizontal movement, along with a stream shaper and smooth bore tips. along with a stream shaper and smooth bore tips. The mounting location of the monitor on the exterior of the platform is critical, as other components, such as scene lights and mounting hardware, can limit the horizontal sweep of the monitor. Designing any new fire apparatus must first address the vehicle mission as well as be able to ensure it operates safely and efficiently within the response district. 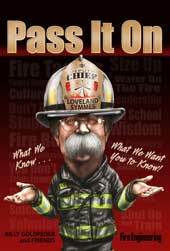 It is rare to find an apparatus committee that has the knowledge base and experience to successfully overcome issues that develop during the purchasing process. 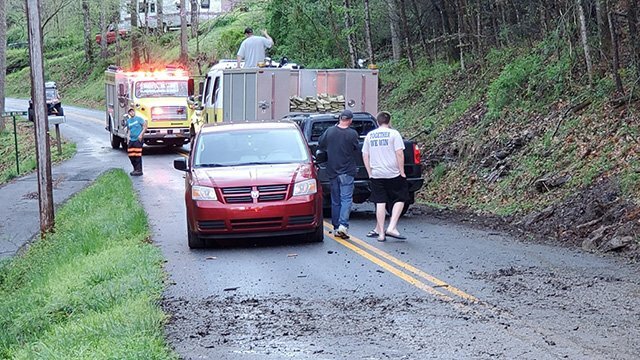 Don’t be afraid to venture out to seek advice from other departments that are operating similar vehicles and gain from their experience and lessons learned.